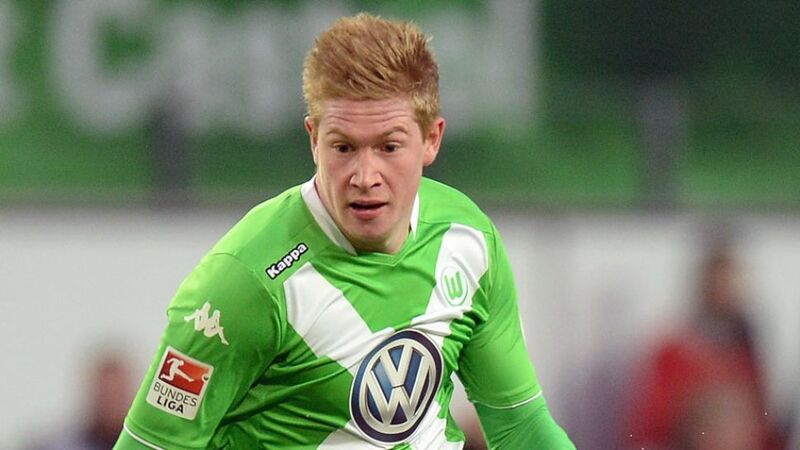 Cologne - VfL Wolfsburg attacking midfielder Kevin De Bruyne has been voted 2014/15 Bundesliga Player of the Season by his fellow professionals. In a 183-player survey conducted by Germany's leading sports specialist magazine kicker, the Belgian international - who finished the campaign on ten league goals and 20 assists - amassed 52.5 per cent of the ballot, with FC Bayern München's Arjen Robben (23.5 per cent) and Bayer 04 Leverkusen winger Karim Bellarabi (6.6 per cent) coming in second and third respectively. Borussia Mönchengladbach's Lucien Favre (30.6 per cent) scooped the Best Coach prize, meanwhile, after steering the Foals into the UEFA Champions League group stages for the first time in the competition's current guise. FC Augsburg's Markus Weinzierl, mastermind of the Bavarian club's surprise qualification for the UEFA Europa League, finished second (24.6 per cent), beating Hamburger SV relegation saviour Bruno Labbadia into third (10.9 per cent).